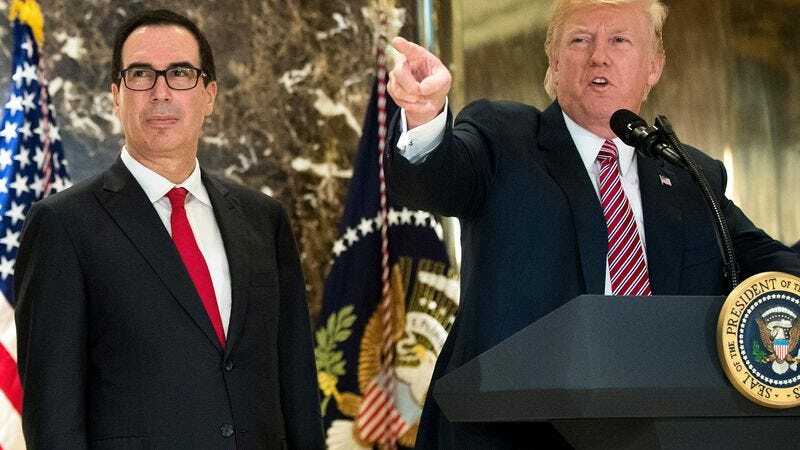 WASHINGTON—Saying they wished to pay tribute to the legacies of these distinguished, law-abiding Americans, the Trump administration announced Friday that a long anticipated redesign of the $20 bill would honor Harriet Tubman’s owners. “These were patriotic business proprietors who followed the laws of their time to further their economic interests, and this new currency design finally recognizes these enterprising individuals for their success,” said Treasury Secretary Steven Mnuchin at an afternoon press conference, explaining that the bills commemorating those responsible for enslaving the famed abolitionist, Civil War nurse, and women’s rights activist for the first three decades of her life would be in circulation by 2018. “For too long, we’ve overlooked the achievements of these upstanding citizens and prosperous agriculturalists. The new $20 note, which will feature a portrait of the Brodess family on the front and a depiction of the Maryland plantation they operated on the back, will at last give them their proper place in American history.” Mnuchin then sought to assuage any concerns about the decision, assuring those in attendance that the Trump White House was already looking into ways to preserve Andrew Jackson’s likeness by having it replace Abraham Lincoln on the $5 bill.